In order to limit the risk of vertical propagation of fire through the external façade between two fire sectors, between a particularly high risk area and other higher zones in the building, or towards a protected staircase or protected corridor, this façade shall be at least EI-60 in a belt which height will not be less than 1 metre, measured over the façade plan (image 1.7). In case of protruding elements intended for fire resistance, this belt height could be reduced up to dimension of the aforementioned element (image 1.8). 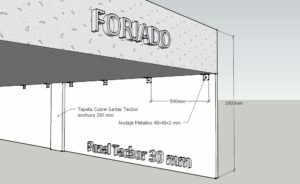 This indicates that, when there is a horizontal fire sector change between the building floors and the curtain wall façace that is not fire-resistant, we shall anchor to the slab edge an EI-60 element vertically set on a distance of 1 metre over the façade plan, unless there are any protruding elements. Besides that, this solution must be independent from the curtain wall, directly fixed to the slab to prevent that any possible collapse of the façade pulls out the sectorization system. 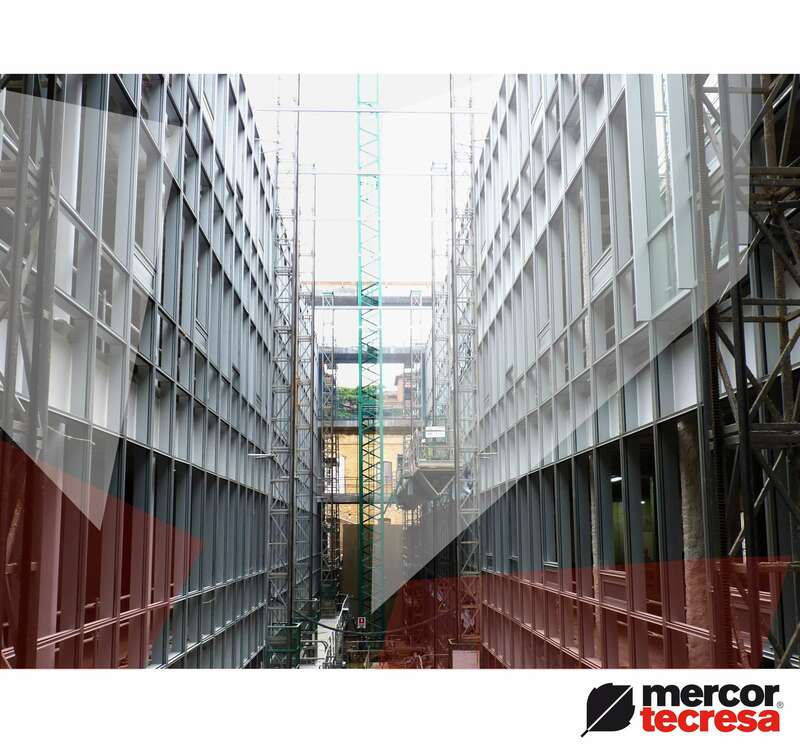 mercor tecresa® R&D Department has developed a new and easy-to-install solution that could be completely done from the inside and blocks smoke and fire spread to the upper floors. In addition to its simplicity, it is the most economic system marketed nowadays. Do you want more information about Tecbor® solutions?